I don’t know about you, but I’ve been sweating up a storm lately. This Pittsburgh heat makes me instantly sticky and feel sluggish and out of shape – a walk around the block and I’m soaked! Luckily, I’ve found a great way to cool down that doesn’t involve me standing directly in front of the air conditioner (though that’s also a great way to beat the heat). I’ve come up with two delicious kombucha flavor recipes made with fruit that are sure to have you feeling reenergized and ready to step back into the sun. After all, Vitamin D is important, am I right? Before going any further, I want to make sure you’ve got some homemade kombucha ready to go. 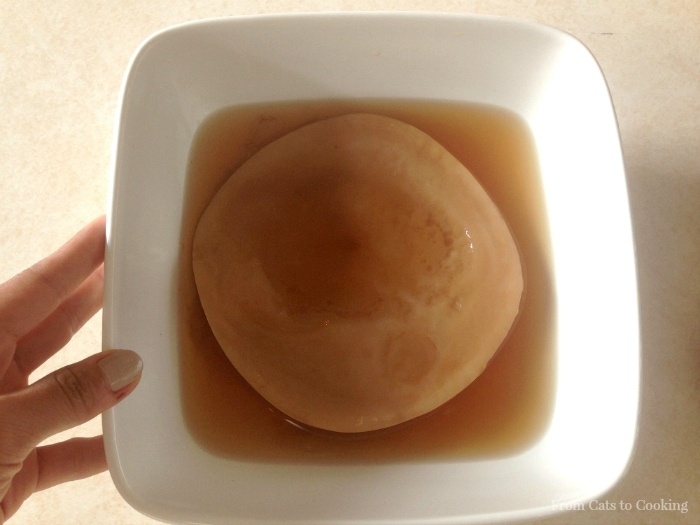 If this is your first time even hearing about kombucha, take a look at this post I’ve written about how to easily make this delicious fermented tea at home. It’s super simple and wayyy cheaper than buying individual bottles at Whole Foods. Now that I know you’ve got some kombucha made (or will soon), you’ll need some glass bottles or jars to store your flavored kombucha. I used 16oz glass bottles that I saved and washed from store bought kombucha but you can easily buy a small case of glass bottles with stoppers like these from Amazon pretty inexpensively. These kombucha flavor recipes are super easy to make – you probably already have some or all of the ingredients in your kitchen right now! 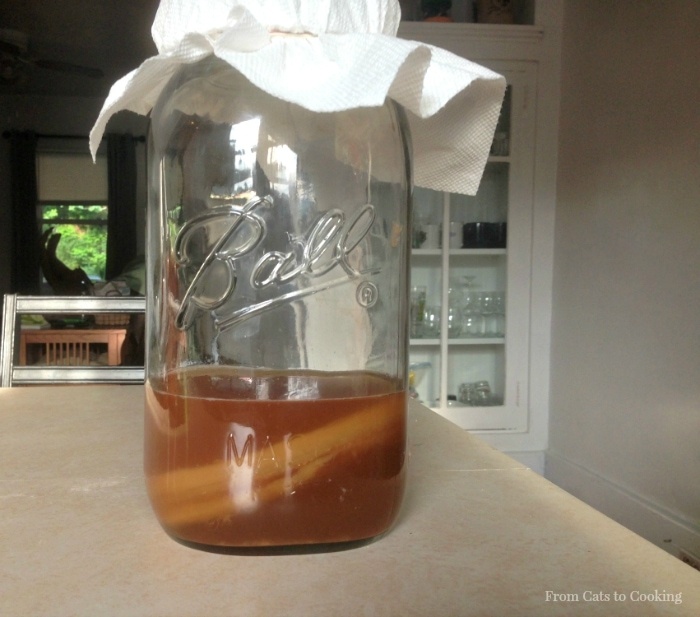 Are you brand new to making kombucha or are you a seasoned brewer? What’s your favorite kombucha flavor? What flavors would you like to try? Let me know in the comments below! Put ingredients in blender and blend until liquified. 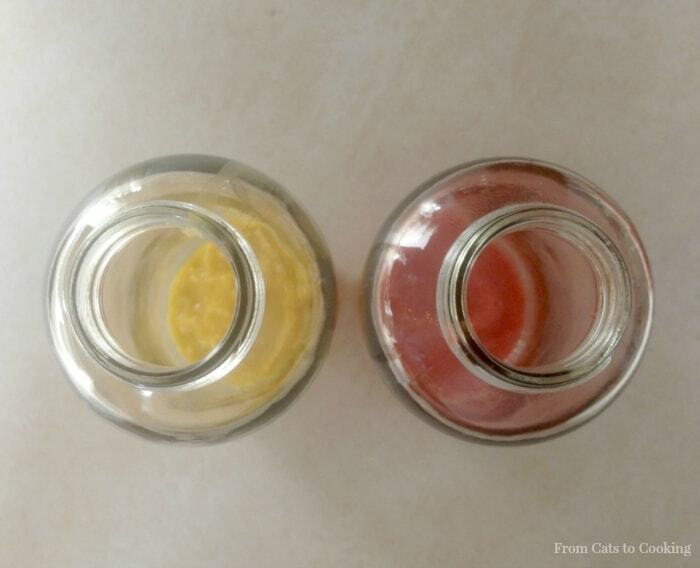 Evenly distribute blended fruit into glass bottles. Fill the bottles with homemade unflavored kombucha tea. Close bottles with lid and let sit at least 2 hours before drinking. 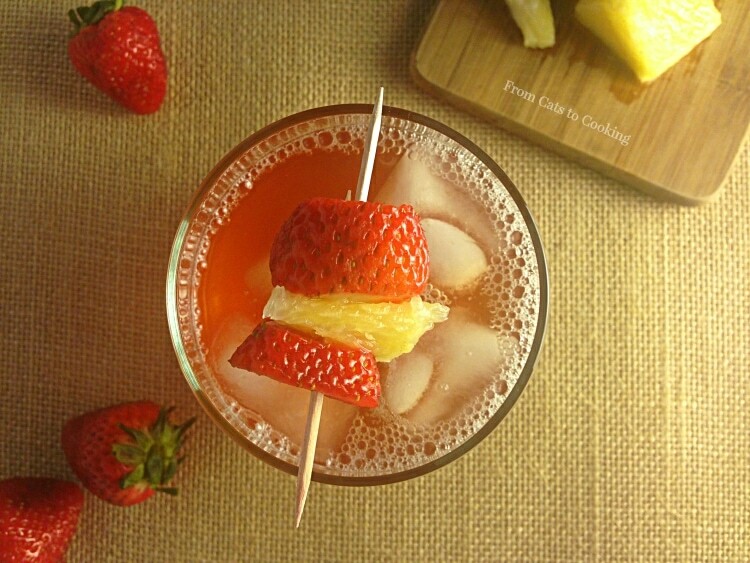 Pour fruit-flavored kombucha in a cup over some ice and enjoy! *For the mango ginger flavor, I filled 2-16oz bottles with the blended fruit. 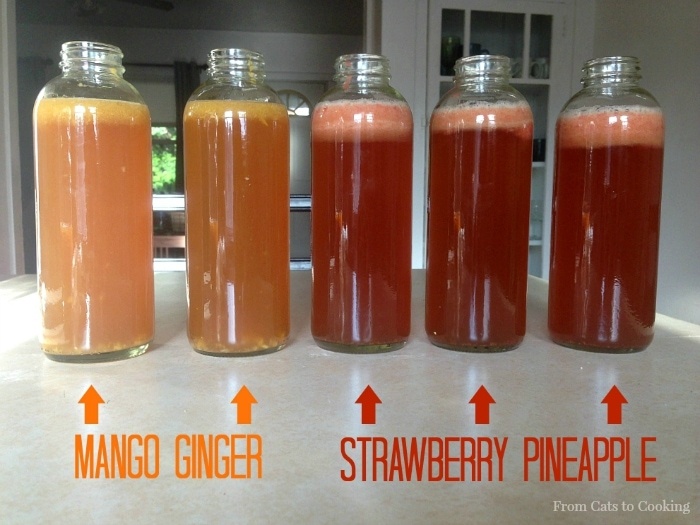 **For the strawberry pineapple flavor, I filled 3-16oz bottles with the blended fruit. Hello, do you leave the fruit in the bottle and just drink it right along with the kombucha? I used frozen fruit strawberries and put in bottels and capped them. After a few days the fruit turned into a slim like substance. I just pored it threw a strainer to get slime out. It taste awesome but is that slime bad. I know it’s the pulp that gets like that. That’s ok right ? I put fruit in a blender first then bottled it . Then got like slime. That’s ok ? Yep, it’s okay! It’s just the natural pulp that’s slowly fermenting. I do a second fermentation process with fresh blueberries and fresh ginger and all my friends love it. I love these flavors Isabel! I’m so excited to try them at home. The only kombucha flavors i’ve tried are strawberry but I’m definitely pumped for the mango. Thank you for sharing! It only takes 2 hours to flavor the kombucha? Say no more! I am definitely excited to try this at home. I think my first choice would definitely be strawberry followed by either pineapple or mango. Wish me luck! I’ll try to report back with my results and see how this goes! Thanks for sharing! Awesome! Will try this soon! Thank you! Great flavor combinations! What’s the ratio of fruit to unflavored kombucha? And can you use frozen fruit? Thanks! Thanks, Allison. I usually do about 1/4 cup of fruit for every 16 ounces of kombucha. You can definitely use frozen fruit! I used frozen fruit, but it wouldn’t smooth out, so I added some finished Kombucha to it and made a slurry of goodness. This made it easier to go through my funnel into my bottles. I also use a Magic Bullet for smaller batch items like these. Hope this helps! How long does it stay good for? Hi Molly, I would say to keep it in the fridge for up to a month. Any longer than that, and the kombucha starts to taste very bitter since the fermentation process is still happening.